In today’s fast-paced world, offering uncertainties to even the luckiest, finding the reassuring promise of forever has become as rare and as valuable as a radiant diamond. Diamonds, a precious stone, offer many that promise of “forever” and these days, cost a fortune. Have we ever asked ourselves why it’s diamonds we’re in search of, and not of rubies, for example, proven even scarcer by the International Gem Society? Why are diamonds forever? Because an advertising agency in the early 1900s decided they would be. What N.W. Ayer did for their client, De Beers, was create a love-brand out of the diamonds—pun intended. De Beers was a mega-diamond corporation, which was formed when diamond-mining financiers realized that the surplus of diamonds on the market would decrease their price—dictating their potential return of investment to plummet. However creating a monolith only assured them halfway. They needed to figure out a way to convince a (very small at the time) market that this diamond was something necessary—the only way to sell someone something they don’t need. So they created a marketing campaign, and won over our hearts and our wallets by appealing to the emotions. There are three questions that need to be answered, in a specific order, in order to make a successful campaign. The first point a campaign message should be adhering to is the “why.” By hearing about a concept or idea that we are enticed by, we are naturally provoked to learn how this something can be attained. This takes us to the next question a campaign must answer—the “how.” How exactly does this company intend on providing us with the glittery shimmer of hope we’re all in search of? And of course, the final is the “what.” What is the product you’re pushing on me? 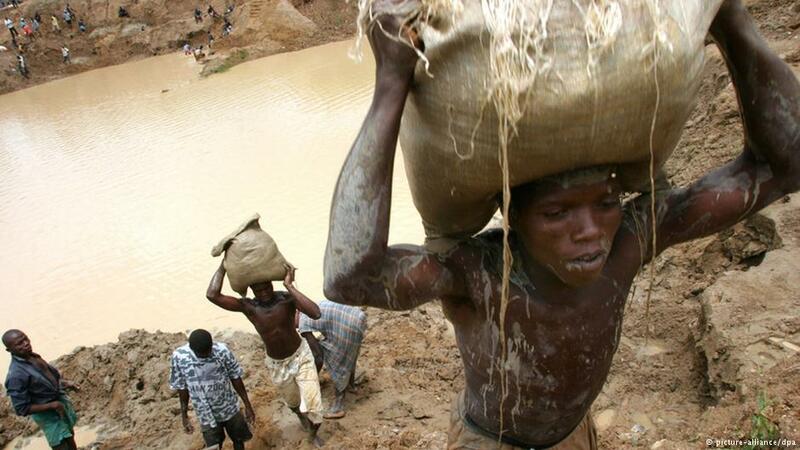 A diamond mine in Sierra Leone where thousands of children between the ages of 7 to 16 work in the fields. The first rule of marketing is that you must sell people something that they want. The message De Beers and N.W. Ayer placed upon the public was that the diamond was a symbol of wealth, power and romance. These are things that none of us are willing to overlook—they’re things that we all not only want, but need. A writer by the name of Edward Jay Epstein wrote that “both women and men had to be made to perceive diamonds not as marketable precious stones, but as an inseparable part of courtship, never to be resold.” Their slogan, “Diamonds are Forever,” instilled the feeling that diamonds were not only the ultimate symbol of commitment and romance, but also never to be resold, tackling the potential second-hand diamond market which would ultimately decrease their value. Their second play was getting the message across—answering the “how.” Together with N.W. Ayer, the ad agency, De Beers lobbied for incorporating diamond-plots into script writing for movies, fashion designer interviews which discussed the dazzle of diamonds and major film stars sporting massive diamonds in public. This message propagated each stone to be special and unique—it was elusive, but very effective. All this advertisement, film and television placement seemed to have worked. Only 20 years later, Ayer had assured De Beers that younger generations had accepted the diamond as mutually exclusive to romance and love. When you’ve got a young generation hooked—it’s a matter of indirect marketing, together with your efforts, doubling your reach. What N.W. Ayer had achieved with the success of their direct marketing, was the promise of their message naturally promoting itself. It was like a brainstorming chart. They not only had their own niche covered—but their niche was willingly taking their message further. Having the United States covered, the marketing strategy developed to international ground. Their next market niche was Japan. A depressed post World War 2 country was sure to adhere to the notion of Westernization. Not only was it a good idea, but it was an idea that sufficed. By 1978, nearly half of Japan’s female population wanted diamonds. 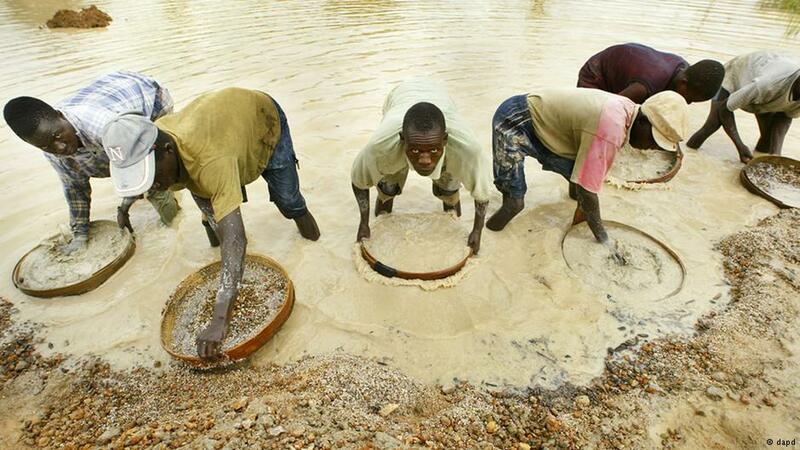 The stones are bought from miners at about 1/100th of the price for which they will be sold. It was a simple notion—that appealed to the heart. A woman who was showered with diamonds was loved and cherished. By obtaining this precious—or maybe not so precious—stone, a woman secured her acceptance and value. A woman who did not receive a diamond, was deemed less worthy and maybe not so loved as one that did. So when we ask ourselves why it is that we perceive a diamond as the ultimate expression of loyalty and commitment, and not a ruby, we now have the answer. A great mind and a powerful strategy proved that the public could be compelled into paying for air. Their marketing campaign 100 years ago brought us to a state in which we’re paying them to tell us what we want—and we are loving it.